No guest posts today - its just ol me after a nice long break. As you probably guessed we did a little bit of traveling but I also had some free time. (Free in as much as I was working all day, but free of blog writing responsibilities) I had all kinds of plans of the cool projects I'd be doing with all those extra minutes. Guess what? I've done nada, zero, zilch. I haven't even started going through my photos no less writing dimwitted posts about it. Lucky for me, these talented and generous guest bloggers have kept this place hopping for the past 3 weeks so I don't feel quite as guilty not having anything special to share. And I just have to thank these guests bloggers for their generosity and help one more time. If you haven't done so already, please visit them! Ok, enough gushing. Its time to get down to business. Mostly to keep myself to task (but also whet your appetite a little) here are some things I'm working on. Oh and if there is anything you'd like to see or know (aka post topics I haven't though of), just ask. Always need something to yammer on about. But until then, I hope you are all having a great start to your weekends! See ya next week. Your guest bloggers where amazing!! So excited to see who was next...loved the surprise! But you are still one of my favourites by far! Welcome back!  And mucho thanks for allowing little 'ol us to guest blog in your brooklyn limestone. Looking forward to the vacation recap! Welcome back, Mrs. L. I've been meaning to ask you what kind of luggage you use on your many fabulous trips. Since you travel frequently, I'm sure you have some tips on reliable suitcases that stand up to being tossed and squished. How do you feel about spinner luggage? I'm thinking of buying some but I'm worried about the durability of those little wheels since they stick out. Do they get ripped off when grabbed by baggage handlers? Hope you can do a post on luggage (or post a reply in this comments section). Thanks in advance! Welcome back! And thanks for letting me yammer on about my kitchen renovation in a guest post. You have the most AMAZING community Mrs. L. What an honor it was to be included in it. Hey...How goes the beach condo?? Who says it's hard to find good help? You certainly have such a bevy of beautiful helpers! Thanks for the wonderful collection of your creative friends! Welcome back. You left us in good hands. Mrs. L! Welcome back...I've been away for a very long time. Reading and back-reading was almost like coming home to blogland. Can't wait to see all your upcoming posts! did you say sparkly wedding invite? dying to see! I can't wait to hear all about your trip. I am glad that you enjoyed your break. Sometimes doing nothing is the best thing. I continue to love your blog. May I ask where the picture came from that you have of all the ladies in various houndstooths? I clicked on the photo but the link leads me to a "photo not found"